Welcome to the first of my 'Plan With Me' series. 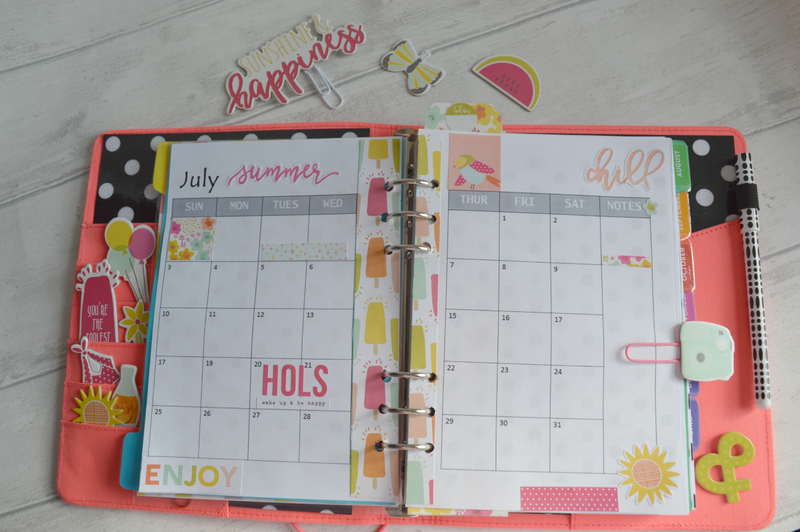 No doubt, if you are here, you like making your planner pretty, just as much as I do. There is so much choice out there for this, but I have decided that I want to use the Simple Stories collections to decorate mine. They update their collections to match with the seasons and at the moment I am using their Sunshine and Happiness collection which you can see in the picture above. I get my planner stickers and papers from Hey Little Magpie on-line store. The service is brilliant and I've always received my goods the next day, unless that would be a Sunday. 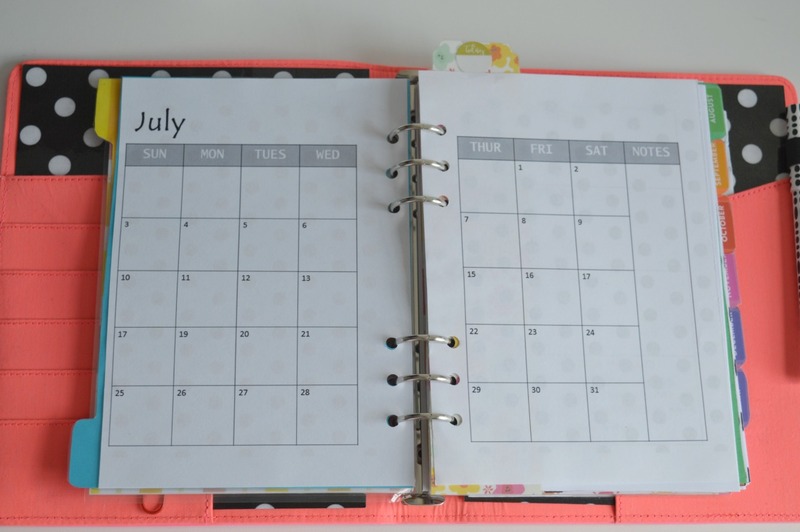 I've been experimenting with decorating my planner for quite a while, but I've only just plucked up the courage to show you my work on-line. Because the finished look is unique to me, I worry that it might not be to everybody's taste - so please just use your own style, if mine isn't exactly what you're after. I have designed my own planner inserts, to decorate, which are closely based on Simple Stories Carpe Diem planner inserts. I have made a right mess of this though, because the dates are all wrong - I missed out the 14th and I only noticed when I had finished decorating the whole month - gutted - but at least I've told you about it and you can still see how I've decorated my page. 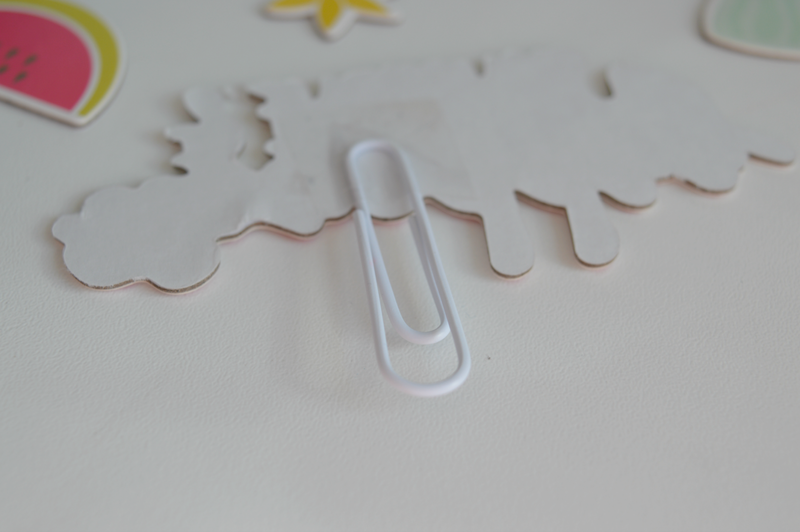 I started off by using my chipboard stickers to make some decorative paper clips that can be used as page markers or placed in the pockets at the front of your planner. I simply added some sellotape to the back and this is how they look. You can see how they look in my planner in the image at the end. 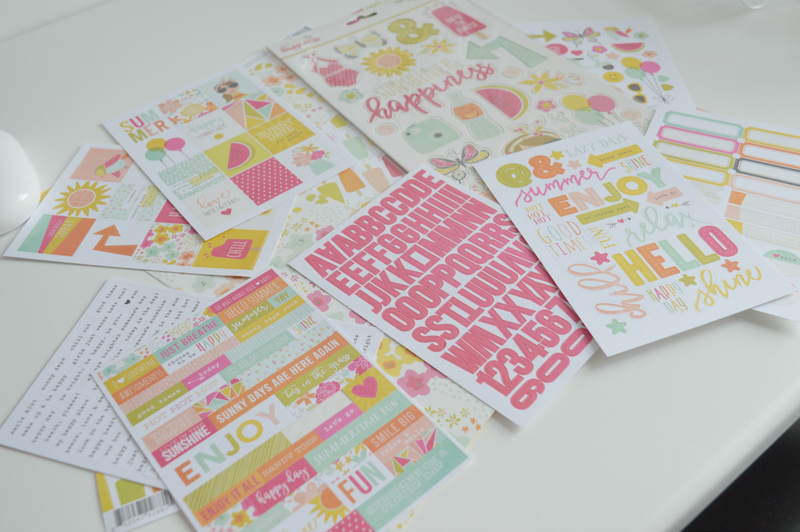 I used the Simple Stories Sunshine and Happiness 4 x 6 inch stickers for my page. They cost £4.99 from Hey Little Magpie and I think there will be enough to last about a month. I used the paper to decorate the inside edges and placed the stickers over the rest and this is how it all turned out this month. I hope you like it. The possibilities are endless really. If you would like to see my weekly layouts, as the month of July progresses, I will be posting these on Instagram here. 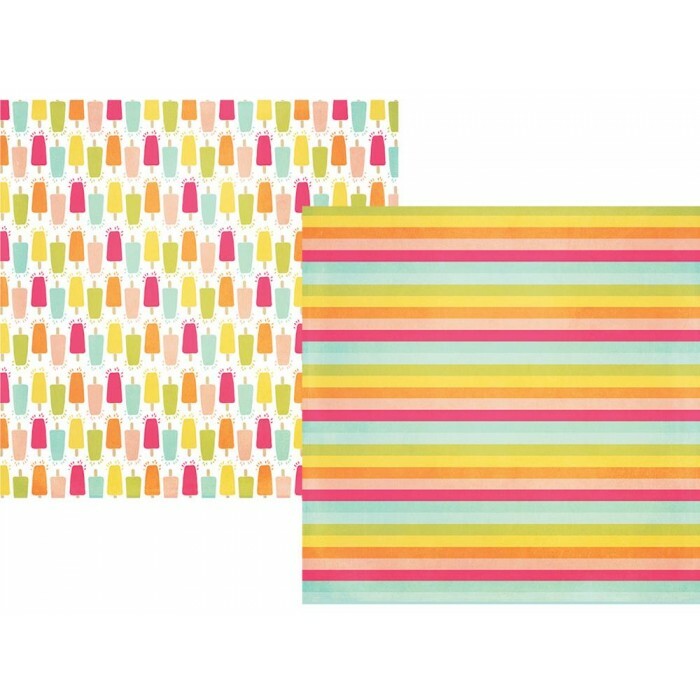 You can also check out some Sunshine and Happiness dividers I made on Friday, on my Instagram page too. Here. And I also have a Sunshine and Happiness board that you can follow on Pinterest here. * Hey Little Magpie gifted me some of the items in this month's Plan With Me. All opinions are my own. If you would like to purchase from their on-line store, links have been provided throughout for your ease. This post has been linked up to Hello Archie and Back with a Bump for #MarvMondays here.